Wych Elm Colour Bathroom Products. Wych Elm Was A Dulled Greyish Green Bathroom Colour. A Rare Colour In Its Day, So Naturally Few Pieces Remain. Wych Elm Basins. Toilets. 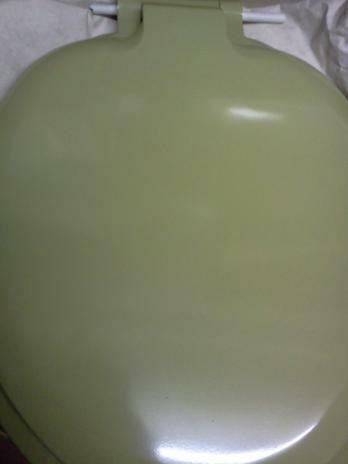 Toilet Seats. 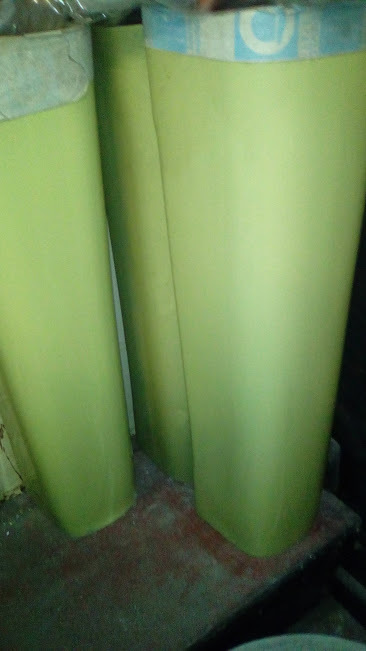 Bath Panels. JSL Bathrooms. Bradford. Yorkshire. A Cheeky Summer Apple Complexion, But One That's Been Left In The Fruit Bowl For A Few Days Too Long. Wych Elm Is Very Similar To Avocado But Was Not As Popular. Wych elm or Wychelm colour bathroom products. Toilet seats. toilet cisterns. toilet pans. JSL Bathrooms. Bradford. 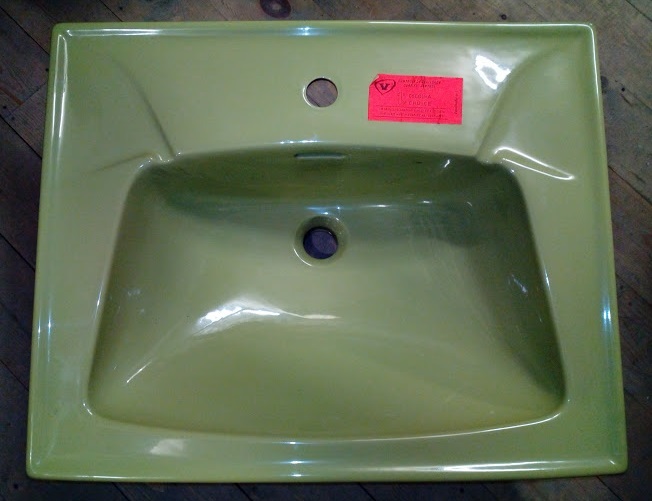 Obsolete and Discontinued bathroom products, suites, and spare replacement parts. Pictured. 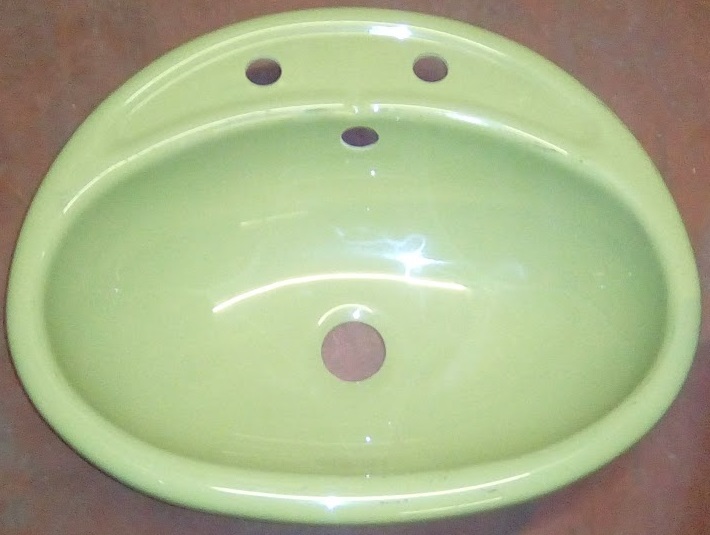 British Made Wych elm Colour Bathroom toilet seat. Similar in lots of ways to Avocado but with a little more ripe apple about it. WychElm is bolder and brassier with that kind of attitude that Avocado sadly cannot muster. 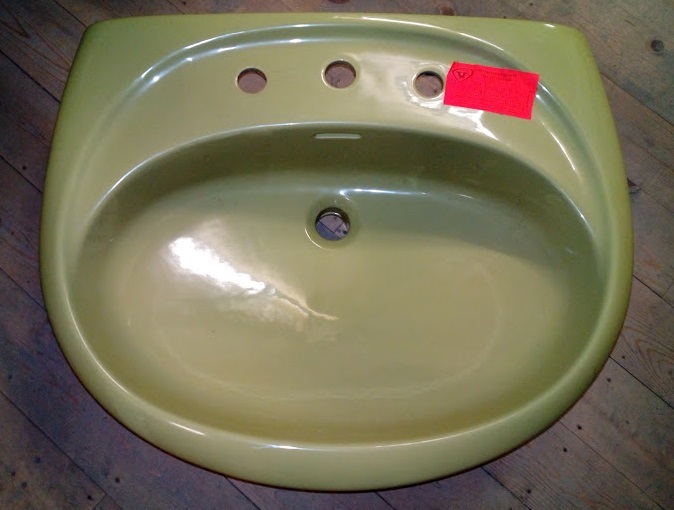 Ideal standard basins. Pedestals. 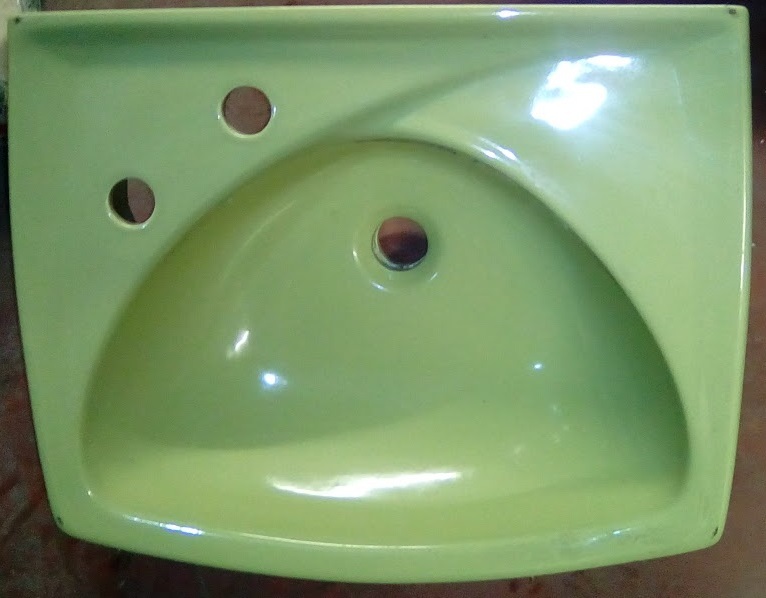 vanity bowl basins in acrylic. The product on this page is meant to serve as an illustration of its colour. Wych Elm.